Most will remember Garybadi as that heavy prog band from Genoa featuring guitarist “Bambi” Fossati that made a couple notable releases back in the early 70s (Nudo, Astrolabio), morphing into Bambibanda e Melodie in ’74, and then disappearing for nearly sixteen years only to start up again as a trio at the beginning of the 90s. Several releases came out from 1990 to 2009, Note Perdute being the last to feature Fossati (who sadly passed away in 2014) as a full member. Original drummer Maurizio Cassinelli remained on board through 2011’s Live in Bloom, which was the band’s last album prior to the one being reviewed here, which lists no personnel, though the release sheet does confirm the involvement of former Van der Graff saxophonist David Jackson on a few tracks. 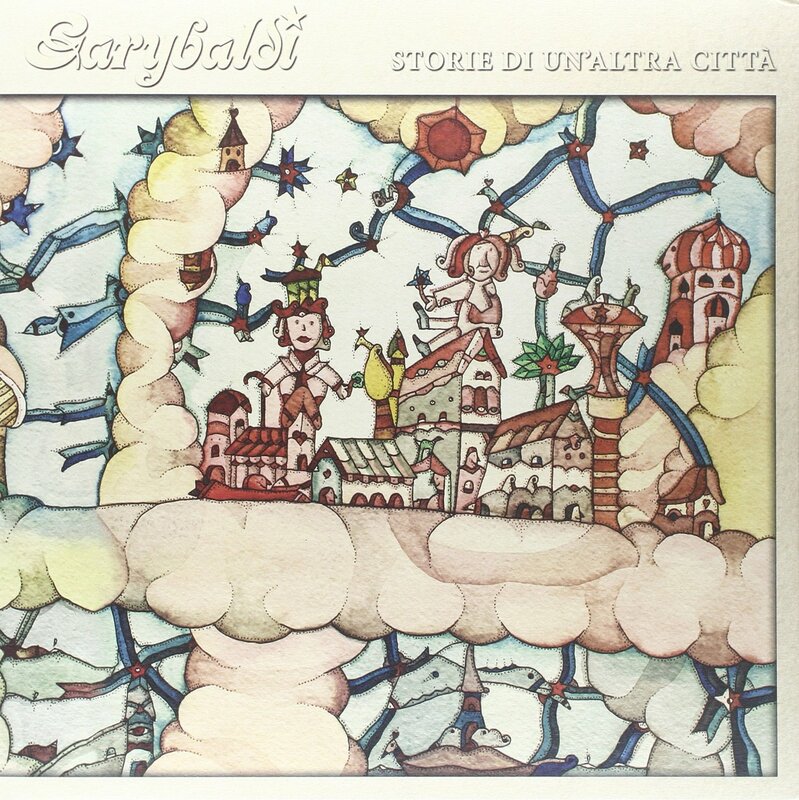 Storie di un’Altra Città is, more than anything, an epic slab of classic Italian progressive rock, sporting all the trademark sounds and stylings of that bygone era, albeit with a somewhat harder edge than most. The seven and-a-half minute opener “Sulla Strada” leaves no doubt, featuring powerful vocals and superb playing by all involved, with dual guitars, bass, organ and drums all featured prominently. The more acoustic driven follow-on, “Città di Blà,” which proceeds at a slower pace, and even fetures a string quartet in some parts, and great vocal harmonies. So much ground is covered here, when one considers epic length tracks like “William Fix” (featuring Jackson prominently) and “Nove 1,2, an 3” into “Il Vento Cambia Strada,” as well as shorter catchier numbers like “Vicino in un Momento” and “Verso Terra,” there’s a lot of brilliance at play here throughout.